Tana Toraja is, hands down, my favorite place in Indonesia. The people are so friendly that they will invite you to share a meal with them while mourning the loss of a loved one, and the views of rice paddies and green pastures are as breathtaking as they are endless. This wondrous place is home to the Torajan ethnic group, known for their elaborate and expensive funeral rites. Stumbling upon a funeral is a must, complete with buffalo slaughtering, pig munching and ballok drinking. Our trip also included a mapless hillside tour, a scenic drive up Batutumonga and visits to numerous burial sites. We soaked in the beauty of Tana Toraja by motorbike. Riding up Batutumonga, we could not help but be distracted by the breathtaking view of rice paddies and mountains set against a brilliantly blue sky. Two bapaks messing around while preparing a pig’s stomach and intestines to be eaten by important guests at a funeral. 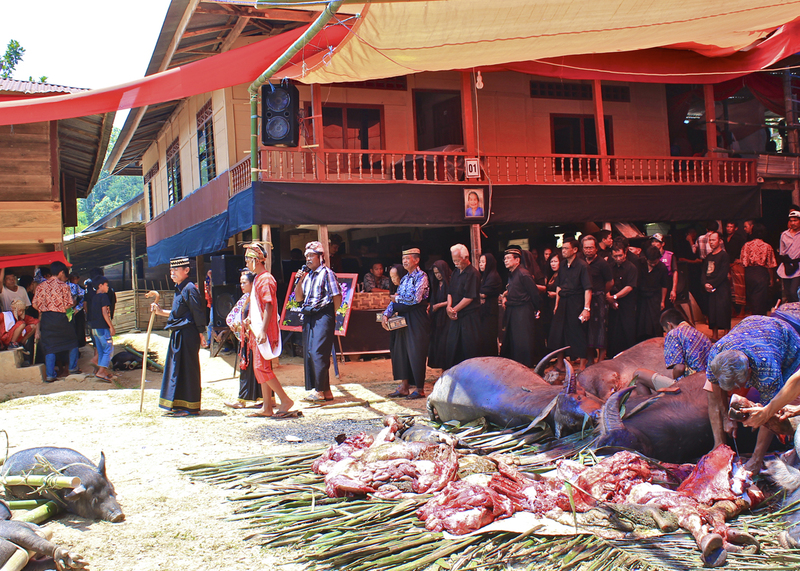 The Tana Toraja family funeral procession is repeated numerous times as the buffalo and pigs are slaughtered in the center of the ceremony. 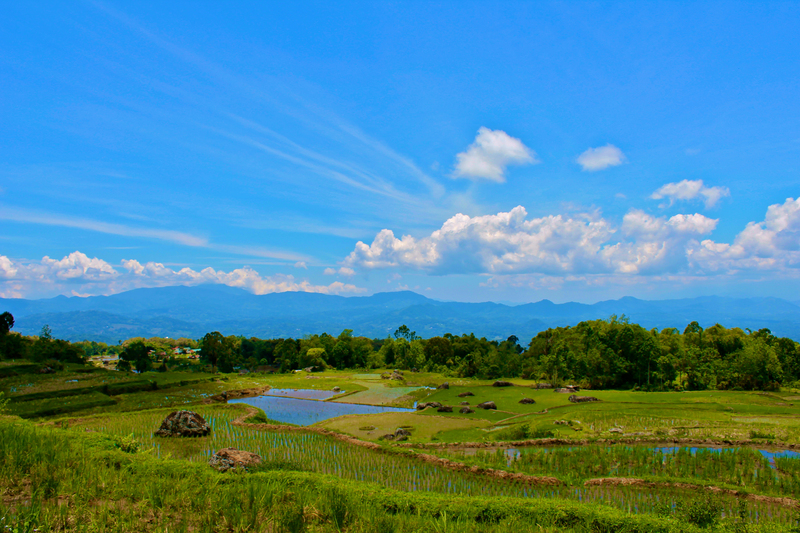 Batu Lemo is a village in Tana Toraja famous for its cliff-side graves overlooking rice paddies and a lush forest. 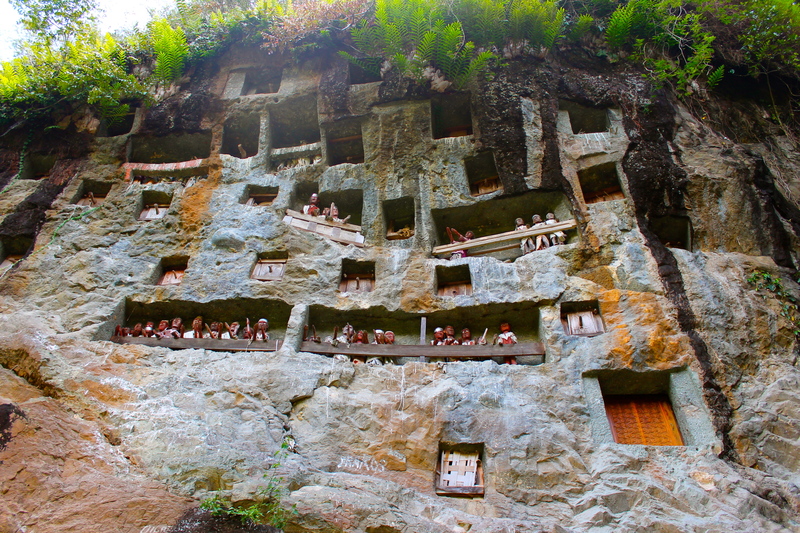 Wooden statues, or tau-tau, are created to represent the dead and are displayed on balconies carved into the cliffs. About the author: Brooke Marcy is a Fulbright English Teaching Assistant based in Kendari, Southeast Sulawesi. Marcy graduated from Pitzer College in 2012 with a bachelor’s degree in peace and conflict studies, focusing on the sources of intra- and inter-state war. Before joining the Fulbright program, she worked as an intern at the U.S. Mission to NATO. Contact her at brookemarcy@gmail.com.